Reaching level 32, you open very important and necessary function which not only will make you stronger, but also will help to find reliable allies in game, cheerful friends and a strong shoulder which you can rely on - Guild. When you press the tab for the first time you'll be offered a choice, which you won't be able to change further! 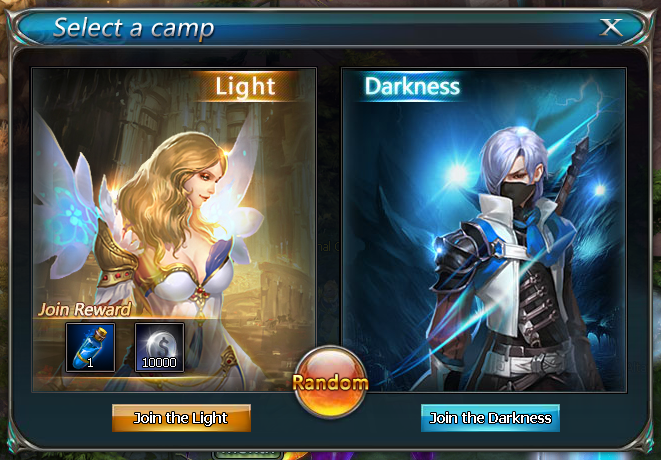 Choosing a camp - Light or Darkness - you define the further choice of guild. Having chosen Light, you won't be able to join guild which was created by the player from camp of Darkness! Usually for choosing one of the sides you'll be ofered a small reward, but you don't have to choose this side. ADVISE: If you already have friends on server, or you've met someone, ask what camp did they picked. By choosing a camp you have to make another choice - create your own guild or to join already existing. 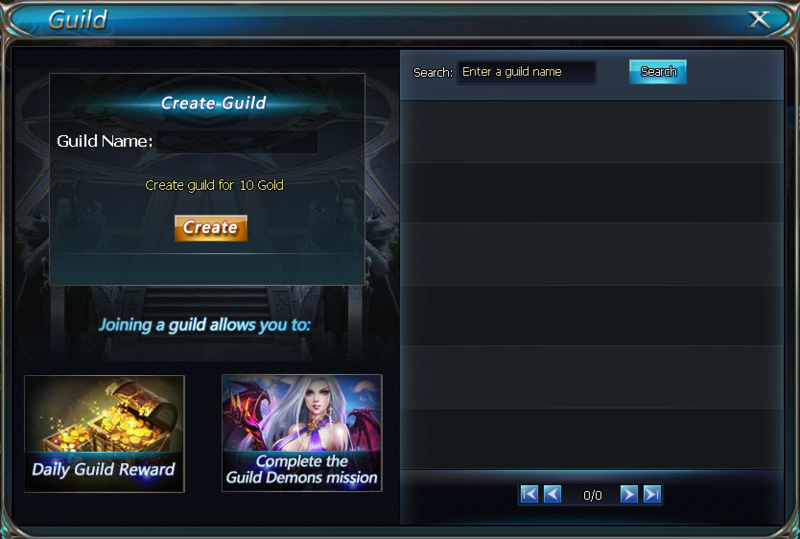 It costs 10 gold to create a guild, or you can join another for free. Click «Applacation» to guild that you want to be part of, so its Guild Leader receives the message and accepct you or reject your application. If Guild Leader accepts your application you'll have access to guild's functions, you can receive daily rewards, fight with Guild demons, go into Guild dungeons.